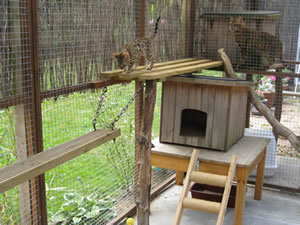 Click on the link below for examples of how Bengal kittens change as they grow. Litter of 4 silver kittens born on Christmas day - 1 still available. Please Note - I cannot hold a kitten indefinitely without a deposit. Available - means this kitten is available so please enquire. Under evaluation - this kitten is being evaluated as to whether it is breed/show quality. The kitten may still be offered as an exceptional quality pet. Pending - means I am waiting for a deposit but the kitten may still become available. Reserved - A deposit has been received. No longer available. Keeper - means this kitten is staying here for my breeding programme. Not available. We also have purpose built outdoor play areas where they can go on nice days. when they leave for their new homes. I only have a limited number of kittens available at a time to ensure this. I believe in quality not quantity, although there are always more born in Spring. Bengal cats are very lively and like attention. They get into all sorts of mischief and are very entertaining. If you want a cat that talks to you and wants to interact with you, then a Bengal may be the breed for you. My kittens are registered with TICA. ( The International Cat Association. 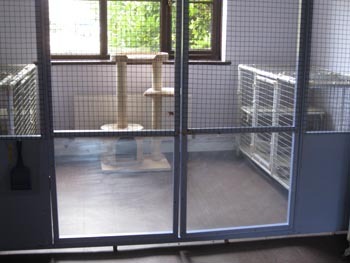 ), wormed regularly, vet checked twice & vaccinated against cat flu & enteritis. They are flea treated just before collection. All the kittens go to their new homes with a signed pedigree,advise leaflet, vaccination record, food samples & 4 weeks free insurance with Petplan. Kittens do not leave for their new homes until they have received their full course of vaccinations. If you are interested please email or call for further details. Please me aware that our mobile signal is poor as we live in a rural area. or ring me on 01406 330052 or 07894 128057. Please enquire if you are interested in a kitten from this years litters. I am happy to keep your name on a waiting list. I also occasionally have retired adults for rehoming at a nominal fee. Retired adults will be neutered and vaccinations and worming up to date. Pet prices from £450 - £750 depending on quality, coat pattern and colour. Older kittens i.e over 7 months are sometimes priced lower for the right home. Please enquire on individual kittens. A deposit of £100 secures a pet kitten. In addition to cash and cheques, I accept deposits via Paypal (a 3.5% surcharge is payable for using Paypal). The balance must be paid in cash on the day or by cheque or Paypal in advance. Kittens that are sold for pets and/or showing are on the NON ACTIVE register and must be spayed/neutered by 7 months. Registration slips will be withheld until written proof is received from your vet.